Add a touch of personalization to the carts in Minecraft. 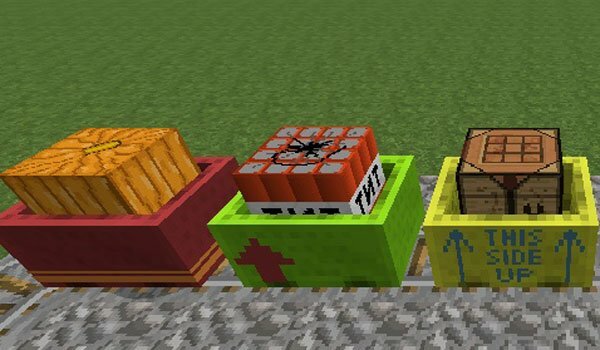 Cart Livery 1.7.10 and 1.7.2 is the name of the mod that will let you use colored dyes to change the color of the carts, so that now you can have carts in sixteen different colors. In addition, the mod includes stickers to customize even more your carts. To color your carts, you should have the dye in your hand and key “Shift+right click”. To put on and put off the stickers, you should use the “Livery Cutting Tool”. You can only place one sticker per cart. The interface will show a preview of how would the sticker be like on the colored cart. How to install Cart Livery Mod for Minecraft 1.7.10 and 1.7.2? Change the color and put stickers on your Minecraft carts!